Search For "Media" Companies in Athens, Georgia - Click Here Now! We Offer Handmade Or Printed Stationery For Your Events That You Might Have. Resprensenting You In A Professional Way And Fitting Any Budget. Our Designers Are Ready To Assist With Your Order And Provide You With First Class Customer Service. 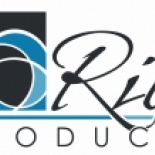 Rile Designs in Athens is a company that specializes in Motion Picture And Video Tape Production. Our records show it was established in Georgia.